With a unique conical frustum shape similar to that of the Moss Green Japanese Large Dinner Serving Bowl, this incredible Japanese bowl‘s astounding height and depth makes it a practical and unique choice for holding salad, cereal, or helpings of your favorite ice cream. Individually handmade and colored in Japan, this bowl is truly unparalleled. 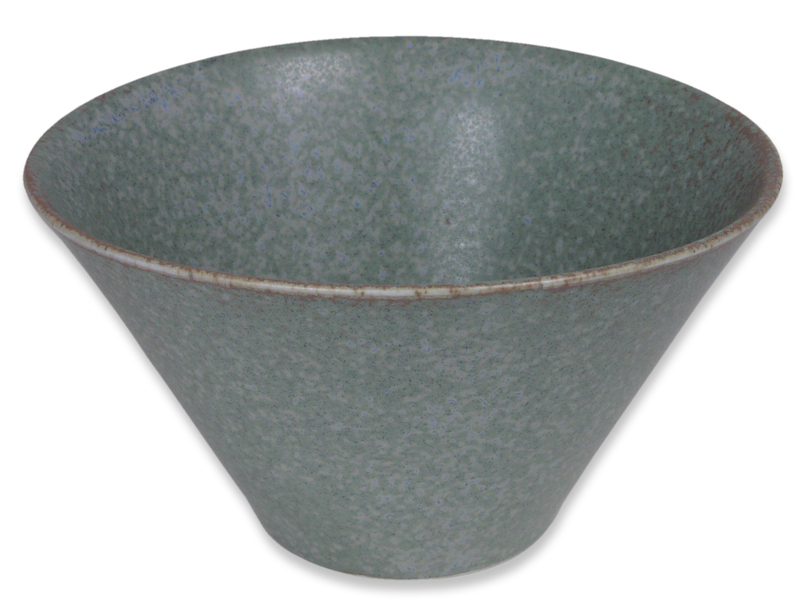 Aside from the white ring of ceramic at the bowl’s bottom, this Japanese bowl is covered with a pale green and hints of blue and brown scattered throughout the bowl. As this bowl is meant to bring soft, tropical Spanish moss to mind, placing this bowl on your dining table is like bringing that flowering plant into your home. Smooth to the touch, this Japanese bowl and the other products in the Moss Green Collection are meant to be reminiscent of nature at its most relaxed state. Sit back and unwind as you eat a snack from this wonderful ceramic Japanese bowl. Since the bowl is microwave and dishwasher safe, you’ll have so much more time to relax and enjoy the beautiful nature of life.